Ideal for spa owners and spa leaders! 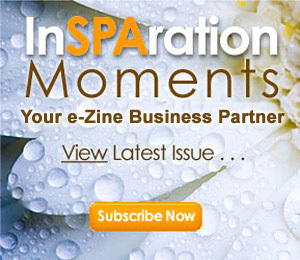 Tap into the latest and most innovative Spa-specific Marketing and Sales strategies to grow your business exponentially. Learn new and innovative spa strategies, systems, and solutions to help you reinvent your business and gain a blueprint for success! Lets face it...every business needs a reinvention every now and then, and the best time to do it is at the beginning of the year! 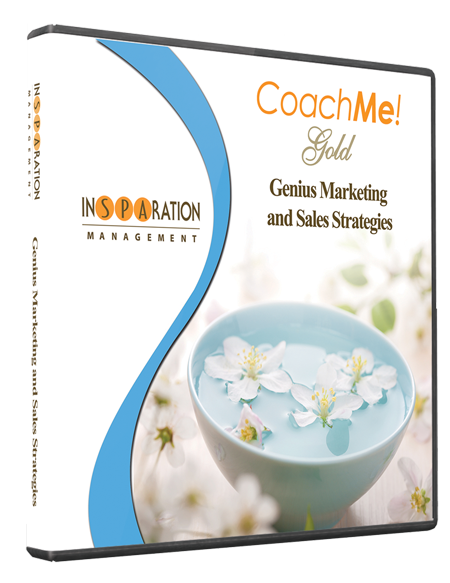 Gain all of the training tools you'll ever need to build a high performing DREAM TEAM! 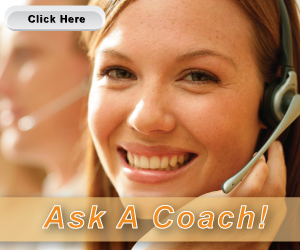 Hello, and welcome to CoachMeGold.com, the home of the exceptional spa business education! 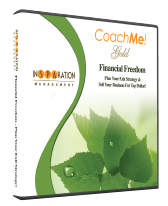 Dori Soukup is the founder of InSPAration Management and the CoachMe Gold spa business memberships. We invite you to browse through the site and discover how the CoachMe Gold series will help transform your business. 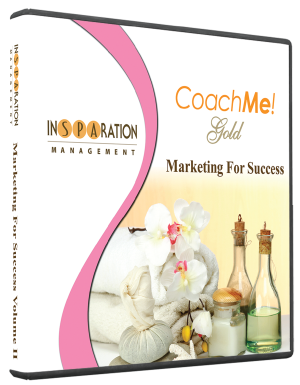 The CoachMe Gold Spa Marketing Training membership programs are designed to provide you with monthly spa coaching and Training modules that you can listen to or read. The Spa Business Training modules are all designed to help you grow your spa or salon business, and build a dream team. Each tele-seminar module is one hour and covers spa strategies, systems, structures, and solutions to help you elevate your success and experience exponential growth. Many members have transformed their businesses with the CoachMe Gold program and we would love for you to be the next big spa success story! 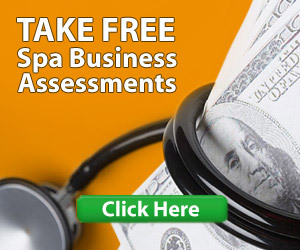 On this site, you will find a plethora of spa business tele-seminars ideal for Medi Spas, Day Spas, and Resort Spas which help you run and grow your business. 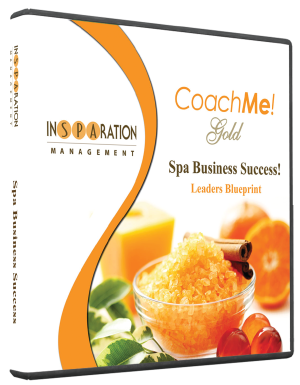 The CoachMe Series are ideal for spa professionals who love monthly business coaching and who are committed to improving their business performance. As a member, you receive access to a private member page where you will find audios, business tools, homework, and transcripts of each one-hour coaching session. Each month, you will receive a new module. 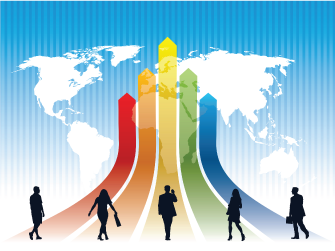 The modules are specific to different business needs. Below is a list of your topic options. 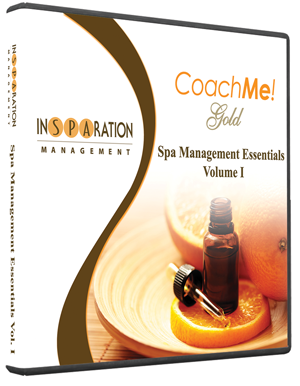 For additional Coaching and Educational material..
Visit InSPArationManagement.com to discover a wide range of spa business tools to help you elevate your success. Your help with inventory management, cost effective marketing, P.R.I.D.E., event planning, Don't Sell "Recommend", Spa Reception (GSA) and Profits, VPG ComPlan, The Blueprint to Effective Team Building and Innovative Merchandising Strategies we are ROCKING! Thanks again for everything you do.